It gives me immense pleasure to share the e-copy of magazine "Corporate Professionals Today" published by Taxmann for the current month. 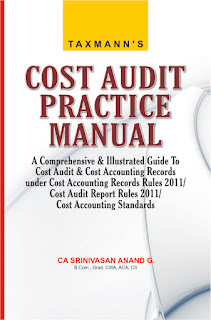 The main focus of the magazine is on controversies in the matters of income-tax, service tax and accounts and audit. In addition to these, it covers various articles analyzing the recent developments. 11) Conversion of CA firm into LLP, investment planning, stock market, etc. I feel the copy of magazine will serve as a collectors' item for yourself, as it it the special annual issue on the 7th anniversary of this magazine. 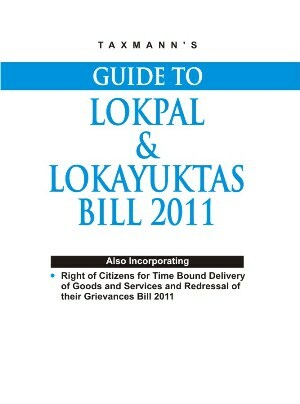 Guide to Lokpal & Lokayukta Bill 2011, Right of Citizens for Time Bound delivery of Goods and Services and Redressal of their Grievances Bill 2011. You can get the information about Investigation & Action by Lokpal, Declaration of Assets by Public Servants, Right to Appeal to State Public Grievance Redressal Commission. The book contains Comparative Analysis of provisions of Companies Act 1956 and Companies Bill 2011, Comprehensive analysis of changes proposed by Companies Bill 2011 and Commentary on new provisions proposed by Companies Bill 2011 in about 150 pages. Company’s financial year to be 1st April to 31st March except in certain cases, maximum number of members in a private company-limit proposed to be increased from 50 members to 200 members, speedy incorporation process with detailed declarations and disclosures about the promoters, directors etc. Direct Tax Laws DVD contains a complete Database on Direct Tax Laws since 1886. The DVD is updated weekly. This DVD contains nearly 61,000 Judgments of Supreme Court, High Courts & ITAT since 1886 / 2,100 Circulars / 10,500 Notifications / 5,600 Articles. 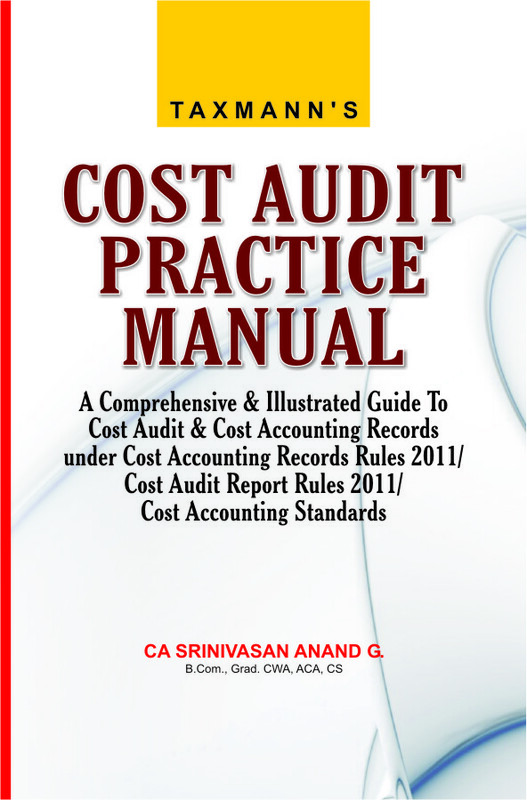 The DVD contains almost all judgments reported in various Tax Journals namely, 200 Vols. Of Taxman / 130 Vols. of ITD / 48 Vols. of SOT / 340 Vols. of ITR / 244 Vols. of CTR / 141 Vols. of TTJ /taxmann.com / ITR(T) / ITC. You may evaluate this DVD for 15 days free of any charge. In case you need to extend its usage for a year you can purchase this DVD by paying annual subscription of ` 6975 (inclusive of all taxes). Company Law DVD provides always updated statutes, complete library of case laws, expert opinions and commentaries. This write-up deliberates upon tax tussle involved in transfer pricing of intangibles. For the purpose, after giving a brief view of ‘Transfer Pricing’ and ‘intangibles’ and their respective importance, the author has cited certain national and international case laws on the same. According to the author, the law relating to transfer pricing of intangibles is still in its infancy India. Yet, the emerging jurisprudence shows signs of maturity and willingness to adopt international standards. What remains to be seen is how quickly the Legislature and the tax enforcement machinery adapt to the rapid changes at both the national and transnational level and in plugging the loopholes to bring an effective and cogent Transfer Pricing regime in India. In the recent case of Hersh W. Chadha v. Dy. DIT  43 SOT 544, the Delhi Tribunal has held that where it is hard to unearth direct evidence or demonstrative proof, circumstantial evidence and its appreciation thereof would acquire importance. The Tribunal adopted this method of circumstantial evidence in order to curb out the tax dogging and making tax dodgers answerable and accountable. The same decision has been taken up for discussion here. The Finance Minister, Mr. Pranab Mukherjee said that the Central Government has nothing to hide on black money issue and the Primie Minister has asked him to share the information with public. But he claimed that so far the Government has no reliable estimate of black money, which could be between USD 500 billion to USD 1400 billion. "No country is going to share information unless there is a legal framework," said Mukherjee. Emphasizing that there is no reliable estimates of black money generated by Indians within and outside the country, The Finance Minister said, "It's necessary to find out sources of black money so that its generation can be prevented. Swiss Bank has been persistently refusing to divulge information on black money," he said. "I have signed an agreement with Swiss authorities, we will be able to get information from Swiss Banks by amending the double taxation norms," he added. India has amended DTAA with 23 countries which will enable us to seek banking information, informed Mukherjee. "India is updating laws on transfer pricing mechanism to bring it at par with international standards as part of attempts to bring back the black money stashed abroad," said Mukherjee. India has started receiving information of Indians, who have generated income outside the country under double taxation avoidance agreements, he informed. He also informed that the Government has constituted a multi discriplinary committee to get studies conducted, to estimate the quantum of illicit funds generated by Indian citizens. The Government has formulated a five pronged strategy which consists of joining the global crusade against black money, creating an appropriate legislative framework, setting up institution for dealing with illict funds and developing systems for implementation. But he said that there is a way to get information when Income Tax authorities decide to prosecute offenders. "Eight more Income tax international overview units to be setup.. right now there are two units," he said.